The past three nights I have had horrible nightmares where I felt like I could do nothing to wake up from. I couldn't sleep well the night when the last X episode aired either, had a very horrific dream. So I had patiently awaited the arrival of my Chirithy. Surprisingly enough when Chirirthy arrived late yesterday I had no nightmare but instead a good dream, WHAT ? I'm telling you there's a reason why this little cutie is so charming. When I woke up I could see his sweet face. Kind of like "Good morning pal"
Maybe you should try some valerian-tea before going to bed. It eases your mind and usually frees you from unnecessary or bad thoughts so you get less anxious in your sleep and have less bad dreams. I used that stuff to get through high school and it really helps. Try to make yourself comfortable by not going to sleep full or hungry, drink enough before going to sleep, maybe try leaving a small light on or putting music on etc. Just help your body relax as much as you can. Those are all great tips:smile: I have opened up my room during the evening before I go to sleep. To let in more fresh air in the room. Do you sleep during the day? I do that a lot. I hope you never go through sleep paralysis. I am still trying to beat that. Maybe it could also be because I know that I will be moving soon? Thinking about the unknown could have triggered bad dreams. I hope once you're all moved into your new place that it'll put your mind at ease. Thanks I appreciate that:smile:. 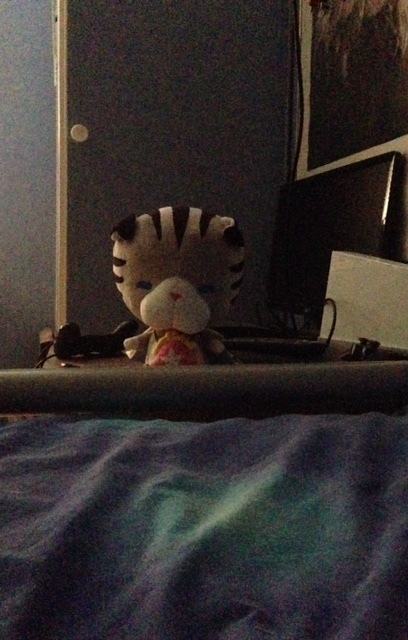 After all Chirithy will come along so I'll have a dream eater by my side if needed. Have you ever had any experience with lucid dreaming? I believe, it's where you know you're dreaming and you can control the outcome of the dream. Some-times I have yeah, but from this day it was a long time ago. 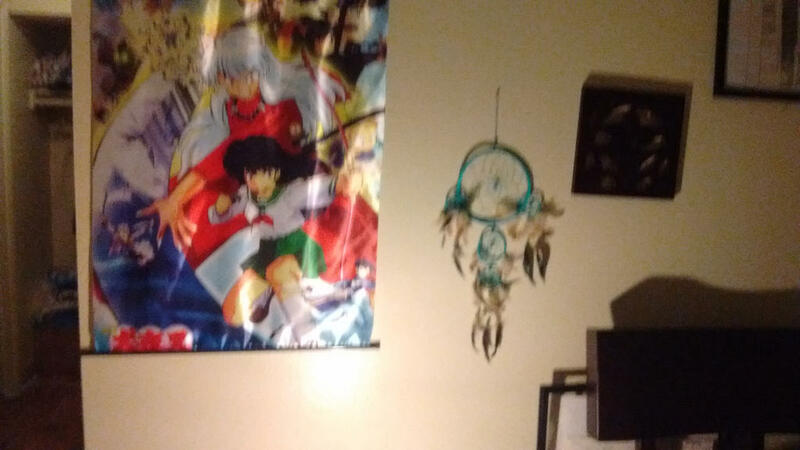 If it makes you feel any better, I have a dream catcher. It doesn't seem to help since I have had two disturbing nightmares within two days within this past week. It probably doesn't help that my bed sits in the living room. Anyways, the two dreams that I had involved my family members. 1) I saw my step-grandpa loading my sister and her cousins into his large pickup truck. He was about to take off when he noticed me. I was wrapped in a dark purple sheet, trying to conceal myself. He saw me along with some college girl, and he and my late step-grandma live nowhere near a college. So, why that girl was passing on through? I don't know. He caught us and demanded to know if she was with me. She denied it and she was allowed to ditch me in that horrifying experience. I was left there being threatened and he told me that if he ever saw me on his property again that he would shoot. In real life, my step-grandpa and I don't really get along. He can be a very scary person. 2) I was in my current apartment asleep. I seemed to wake up and saw someone sleeping on their side, it was my sister. Again, my sister and I are estranged and we have a very hostile history together. I tried to get her away from me, but no matter how hard I tried. I could never get a grip, it seemed like her skin was like slippery soap or something. Nothing I did seemed to get her away from me and she had her eyes closed and seemed as still as a corpse. Sometimes I also had bad dreams (actually last night I had one), sometimes I would rather to not thinking about it much and try to think something fun and make myself happy. This usually works at me, and I'm able to forget the bad dreams. I try to suppress my nightmares. Maybe, I should keep a dream journal.